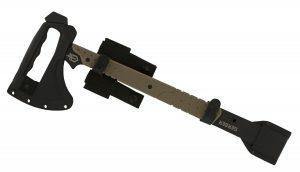 I tested Gerber’s Downrange Tomahawk , a tool designed to assist in breaching and general tactical operations. Whether this tool is used for military ops, law enforcement (light) breaching, SAR, or self-rescue, it definitely epitomizes the rule of possession of tactical operations. What is that rule? If you’re downrange, the high-speed thing you brought with you is useless in your vehicle or in the cantonment area. The Gerber Downrange Tomahawk can be strapped to a pack, the back of a tac vest, or carried in its sheath. The Gerber Downrange Tomahawk answers another simple question. Which would you rather use to deconstruct a windshield or pry open a door: your fixed blade or a tomahawk? At 19.27 inches long, the Downrange Tomahawk weighs 2.5 lbs. with the attached sheath. The sheath is a Kevlar blade cover that snaps over the head of the hawk with a cap for the prying tip. 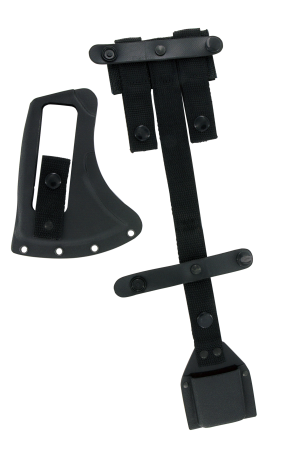 The Downrange Tomahawk’s MOLLE-compatible sheath and Kydex blade cover makes it handy and quickly deployable. Made of 420 HC steel with a Cerakote finish, it has enough spine flexibility to resist snapping under the pressure of prying or chipping of the blade when swinging. Steel in the Downrange Tomahawk is mostly one-piece, except the head of the hammer is welded. This tool can generate some pretty fast swing speeds, and the business end is devastating. The G-10 scales cover enough of the shaft to allow the user to get a good swinging grip, or choke up a bit when the prying tool on the other end is employed. I found the prying leverage to be greater than that of a carpenter hammer and the swinging energy to be capable of defeating many standard doors. 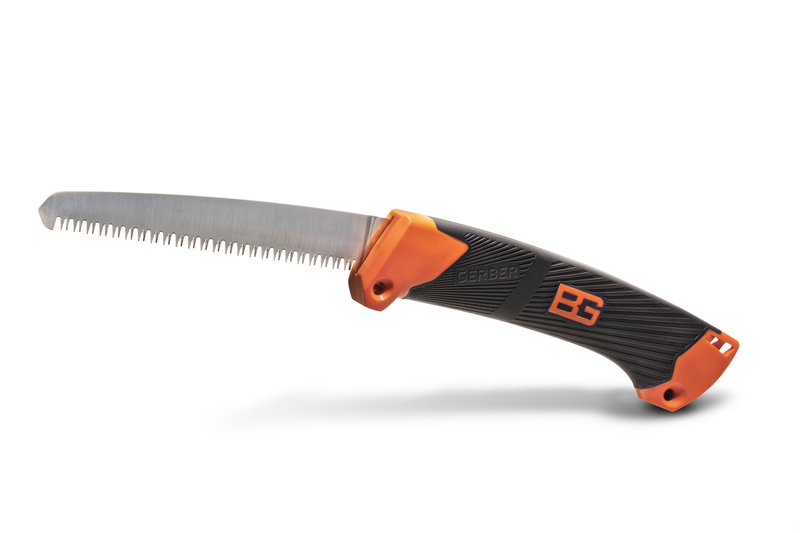 Not quite sharpened to a razor edge, the blade is about as sharp as most splitting wedges, protecting the tool when used to cut door panels or cables. With pretty aggressive cuts in the scales and steel for a good grip, it was obviously designed for the gloved user, who should also be wearing their eye protection. Here’s something Gerber came up with that I haven’t seen before. The axe head portion has a cut-out which a user can grip from the top when using the prying tip. The grip purchase is increased when the sheath is on the head. With it, military personnel can pry enough to set up field-expedient cribbing, pry door latches, or pull up a floorboard. 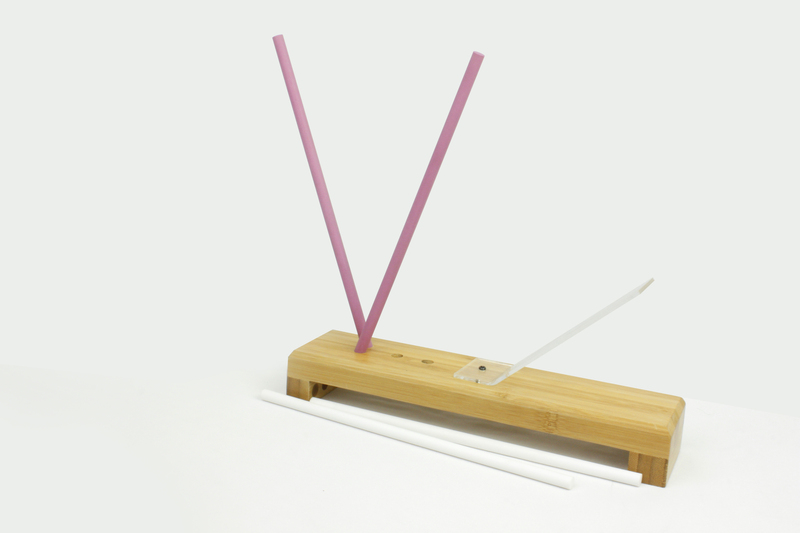 The bottom of the blade is built for the user to hook objects. This allows the Downrange Tomahawk to be used as a hooking tool; not just for braking and raking, but something one can use to grab a stump on a steep uphill climb. From experience, I have found the Downrange Tomahawk to be one of the handiest tools for searching, rescue and general utility uses. It will fit inside a CamelBak Mil Tac H.A.W.G. 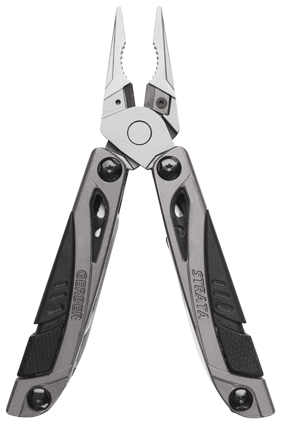 Gerber Strata. Out Of Sto..